QuickBooks is a business accounting software program which was designed to help retailers keep track of inventory, sales, and customers. This double-entry bookkeeping software features an easy-to-use interface and can automatically perform many tasks related to data collection and record keeping. QuickBooks software comes in two versions, Basic and Pro. The basic version is mostly ideal for small businesses while the Pro version is for larger corporations. One key area where this software is popularly used is in retail businesses where it can be used in a POS system. QuickBooks are the ideal software for any retailer looking to eliminate the need of outsourcing the accounting work of the business to a professional. With QuickBooks the retailer can leave the accounting work to an in-house employee. Below we take a closer look at this amazing business software. 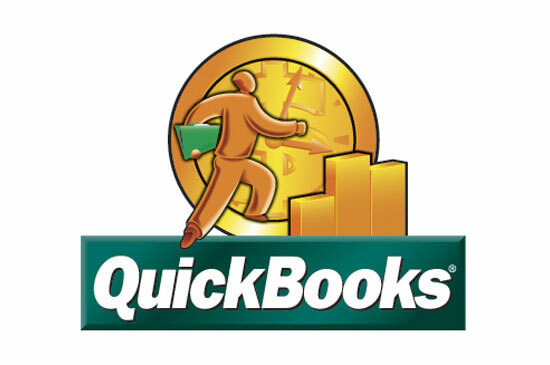 Many QuickBooks’ features utilize the information which is provided by the retailer during the setup of the software. The retailer is required to provide business information such as company name, address, bank account, and the total list of items being sold as well as their relevant prices. Once all the necessary information has been entered, future transactions that need to be entered can be updated with just a single click of a mouse. Any subtractions, additions, or data compilations made will then be taken care of behind the scenes by QuickBooks. QuickBooks software compiles all data obtained from transactions and makes them available in a variety of reports, charts, and graphs. These reports can be used in the management of the business. Reports are powerful tools which are widely used by large corporations to map the right way forward. QuickBooks put these powerful tools in the hands of small business owners thus giving them a great competitive edge. QuickBooks has an integration platform that allows a retailer to integrate and streamline business processes from one application to another such as invoice creation, customer account, and business bank account. When integrated to the business’ bank account, automatic electronic updates will be made every time a change in accounting is done. This platform also allows the retailer to connect an entire chain of stores and link them to one central database. In this way, the retailer can manage and create reports for each of the individual stores without having to physically visit them thus saving a lot of time. Whether protecting a business from hackers or unscrupulous employees, security is always a great concern to retailers. With QuickBooks software, delicate information is provided with excellent security so as to ensure it is not endangered. The software allows retailers to limit users’ access according to rank. For instance, administrative features can be closed to sales people and only be given access to employees of the relevant department. QuickBooks are a great option for retailers who are looking to satisfy customers, keep a close eye on the inventory, and easily track sales. It is an excellent software solution as it is reliable, efficient, and easy for any sales employee to use. Neilan Maguire spends his spare time writing about various business solutions that assist retailers to improve their POS software. Neilan encourages anyone interested in buying high-performance POS software to visit this site.